There are few countries on earth where you can find the perfect balance between urban thrills and unmatched natural wonders, for all this and more visit Argentina. 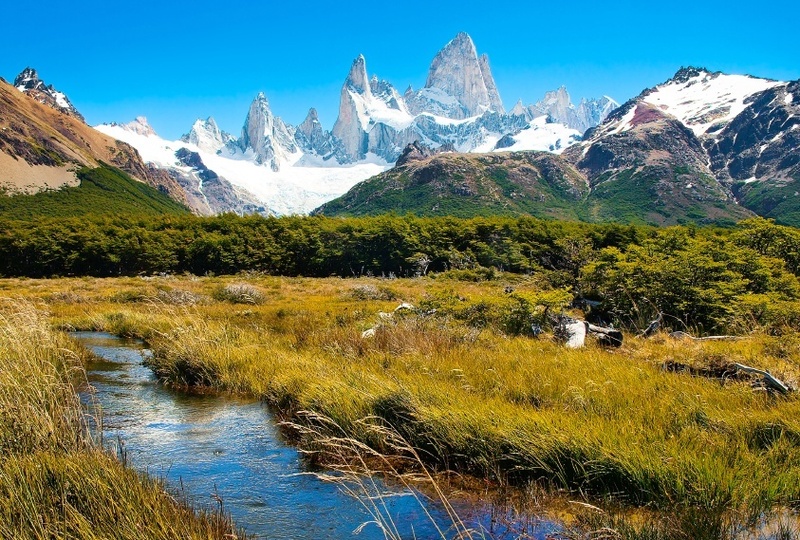 From the all night party atmosphere, tango, and barbecued meat of Buenos Aires to serene vineyards to the majesty of Fitz Roy in Patagonia – Argentina offers extremes on all ends of the spectrum. No matter what type of traveler you are, you’ll find something that connects with you here. We’ll cover where to go in Argentina – a list as diverse as the country itself. Want to learn more about Argentina? 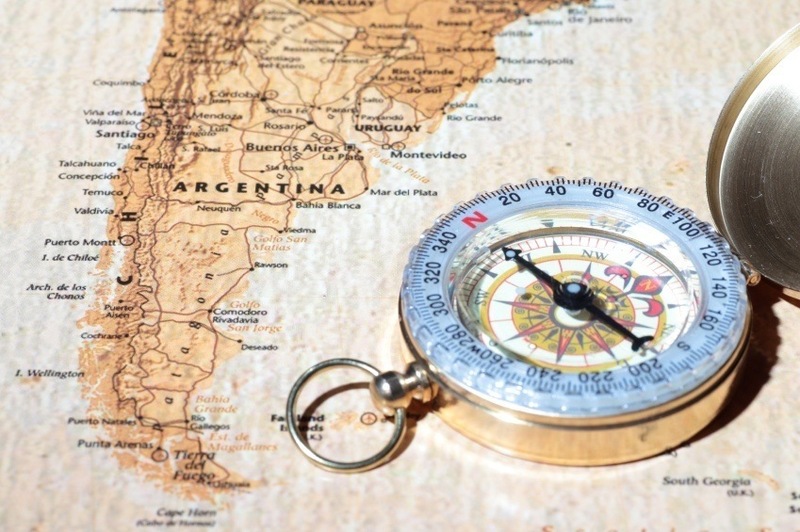 Argentina is a large country and the varied landscape can make it somewhat difficult to navigate at points. That being said, the road network is widespread and urban transportation is excellent and comprehensive. Airports of all sizes are also found throughout the country in both remote and populated areas. While the rail network is the largest in Latin America, it is not as well maintained as it once was. Still, some recent investment and nationalization of the railways means that commuter trains are an option depending on where you’re going. Argentina’s major cities are relatively temperate, while the north of the country is more tropical and the southern regions can be sub polar. In other words, if there’s a climate you can think of, Argentina probably has it. Keep in mind that winter and summer are opposite to us here in the northern hemisphere. That being said, anytime of the year can be a good time to visit, depending on where you plan on going. Edgy, full of life, beautiful, familiar, and exotic all at once – the capital and largest city of Argentina is an absolutely integral part of any visit to the country. As one of the biggest metropolitan areas in the Americas, it’s impossible to be bored here. Buenos Aires displays many European influences mixed with an unmistakeable Latin flair. One of the most well known ‘exports’ so to speak is of course the tango – and nowhere is it more alive than where it started. Take in one of the many performances (both indoor and outdoor) or grab a partner and give it a try yourself! Buenos Aires also features one of the most varied selections of cuisine of any city, with traditional food from all over the world found here. Meat eaters will find themselves right at home – with Argentine barbecue and red meat famous the world over. Of course many people of all ages come to the city to let loose. If this is why you want to visit, be prepared for a long night! Bars often open at midnight and clubs at 2 AM (at the earliest), so you can probably just write off the next day!Buenos Aires is a must-see when you visit Argentina. Argentina’s second city may not have the immediate wow factor of Buenos Aires, but it certainly has a charm of its own. History buffs will be enthralled by the wealth of Spanish colonial buildings, especially those centered on Jesuit Block. While the larger capital’s nightlife might be more renowned, the numerous universities (and students that come with them) in Córdoba ensure that you can party long into the night. Finally, it’s only a quick trip to great hiking – with impressive mountains and valleys surrounding the city offering a multitude of trekking opportunities. Like nearby Chile, Argentina has become well known for great wine. Mendoza Province is the heart of this operation (and the largest winemaking region in Latin America). Spread throughout the area, you can find more than 1200 wineries – whether in the capital (also named Mendoza) or smaller villages. Be sure to try the Malbec, the premier variety of wine made here. So while this region should be a must-see for anyone with even a passing interest in fermented grapes, Mendoza has more to offer. Its picturesque location amongst the hills, valleys, and towering peaks of the Andes (more on that later!) means that hikers, skiers (in the winter), and just general nature lovers and sightseers will find a lot to like here. 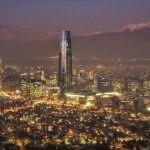 Longer than any other continental mountain range in the world (stretching across seven countries) and the highest elevation outside of Asia are just a couple reasons the Andes are guaranteed to impress immediately. Argentina remains arguably the best country to see what the range has to offer, so we’ll just cover a couple top landmarks to visit within the country’s borders. First and foremost, there’s Aconcagua. It’s the tallest mountain in the Western hemisphere (and Southern for that matter). The peak and surrounding park, famous for its many glaciers, is a relatively short trip – 112 kilometres – from Mendoza. While a spur of the moment ascent of one of the world’s tallest peaks isn’t recommended, the sheer majesty of Aconcagua and the scenery is worth it alone. You can always end the day by ducking back down into one of the many wineries, a fitting end to an awe-inspiring experience. While other natural landmarks and destinations might garner more attention, the Quebrada de Humahuaca (located in the sub-Andean foothills) shouldn’t be ignored if you’re craving something a little different than snowcapped peaks. This massive ravine is home to some spectacular rock formations that will fascinate both geologists and casual onlookers. The most striking sight here however is definitely the Cerro de los Siete Colores – which translates to the Hill of Seven Colors. It’s exactly what you’d expect, with unique multicoloured hills that dot the landscape and has to be seen to be believed. Did we already feature Iguazú Falls in our Brazilian Travel Guide? Yes. Does this matter? Not one bit. Regardless of which country you’re visiting, there’s no excuse not to stop by one of the most impressive waterfalls in the entire world. 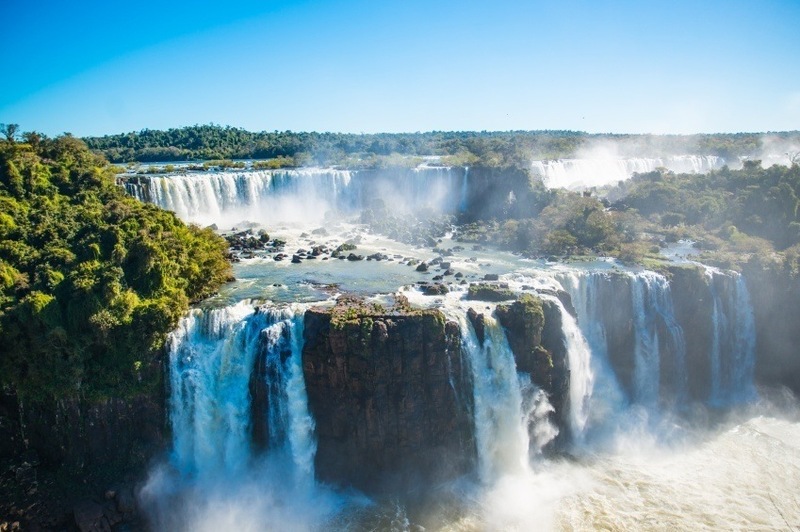 Most of the 275 separate falls actually reside within Argentina (so we’re more justified covering it here anyways) and can easily be seen up close thanks to the numerous walkways and viewing areas. You have the option of a short flight or a significantly longer bus ride from Buenos Aires to nearby Puerto Iguazú. No matter what side of the border you’re on, you can’t go wrong by visiting one of the world’s foremost natural wonders. This rugged archipelago south of the tip of Argentina is a harsh and mystical place. Once you cross over the Strait of Magellan, you’ll truly find yourself at the end of the world. If you head any further south from here, you’ll find yourself in Antarctica. There’s a stark beauty to the snowcapped peaks, bogs, and coastline. Centuries of shipwrecks and famous seafaring expeditions means that the land is forever inextricably linked with some of the most important events and periods in maritime history. Visit the region’s capital of Ushuaia – itself a busy and bustling port and the most southern city in the entire world. It offers great deals on adventure tourism, whether it’s scuba diving, kayaking, hiking, skiing, or sailing. No Argentine getaway is complete without a stop at one of the many iconic sights in Patagonia. This massive region in the south of the country features a wide variety of landscapes and locales that are all deserving of a long visit. One of the most recognizable areas is Los Glaciares (South) (also known as Glaciers National Park). The absolutely massive ice cap and glaciers that cover the southern portion of the park seem to stretch on endlessly – and are both intimidating and magnificent. Glaciar Perito Moreno is the most famous and photogenic of the parks glaciers, and shouldn’t be missed. Also be sure to stop by El Calafate, a bustling tourist town that serves as an ideal hub for the region. Los Glaciares (North) may not feature quite as many glaciers, but the landscape is just as impressive. Enter by way of El Chaltén if you’re looking to partake in some of the best and most impressive hiking you’ll find anywhere on earth. Towering mountains dominate the area, with Cerro Torre and Cerro Fitz Roy two of the largest peaks (and most difficult climbs). Even if you’re not the next Edmund Hillary, there are a lot of easier hikes with spectacular views to enjoy here. The city of Puerto Madryn serves as an excellent gateway for tourists who want to see the natural beauty of the Peninsula Valdes and the coastline. The biggest draw here is the plentiful Arctic wildlife – including whales and penguins. Depending on your luck, whale sightings could be plentiful or minimal, but the nearby Magellan penguin colony is always a worthwhile stop. The city of Bariloche is a unique getaway that feels like it was pulled right out of Central Europe. The Swiss-German culture plus the abundance of chocolatiers and skiing are eerily similar to what you might find in the Alps. The lakes and forests mesh perfectly with the snowcapped peaks to create an intoxicating atmosphere that draws you in. How much does it cost to Visit Argentina? Round trip flights between Pearson and Buenos Aires are often found around the $1300 Canadian mark plus or minus $100. Prices will vary depending on how far in advance you book, when you’re going, who you book with, etc. Be sure to adjust your arrival and departure dates as well as your airline in order to find the best possible deal. Once you arrive in Argentina, you’ll likely find that prices are for the most part pretty affordable, especially when compared to North America or Europe. An average day’s expense will generally run about $45 with a budget of $22 for accommodation and $12 for food. A more luxury focused trip could cost you about $120 per day (not that much relative to high end prices in other countries) while thrifty travelers could potentially get by with just $17 per day. As always, prices will vary depending on what you’re doing. Expect to shell out significantly more for a long night out in Buenos Aires than simply wandering around the countryside without paying for guided tours. Before we get into safety, we have to touch on the current health issue with regards to the Zika virus. Spread by mosquitos, the sickness is usually mild and short term, resulting in fever, headaches, rashes, muscle pain, and other flu-like symptoms. 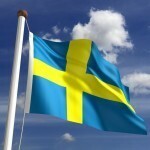 That being said, pregnant women (and women considering becoming pregnant) should avoid the country for the time being. Be sure to talk to a healthcare professional before deciding to travel to Argentina. According to the Canadian government, there is no nationwide alert for Argentina and normal security precautions are recommended throughout the country. In tourist hotspots and urban areas, petty crime is a danger – especially in the nature of distraction thefts. These could involve spraying a substance on the victim and robbing them while pretending to help clean the stain or distracting the victim with questions while another picks your pockets. Be wary of express kidnappings as well where tourists are forced to withdraw money from an ATM before they are released. Be careful in all tourist areas in Buenos Aires, especially during nighttime (avoid La Boca after dark in general). The city of Mendoza has also suffered an increased amount of crime recently, so use caution when visiting. Also, be careful at the Igauzú Falls as crime often occurs along the border there. Finally, make sure you are properly prepared and don’t overestimate your skill level if you plan on hiking. Many trails can be enjoyed by everyone but others should be attempted only by experts. As long as you use your best judgment, your visit to Argentina should be safe, secure, and memorable for all the right reasons. These are just a few examples of where to go in Argentina, there’s tons more to see and do. If you think somewhere else should be on the list, let us know in the comments. Check out our Country of the Week for more general information about Argentine history and culture, as well as our Currency Spotlight for a breakdown of the Argentine peso.